Black Friday is almost here. If you're still looking for some things to add to your list, I've got your back. Here's my pick for the top 4 gifts that most guys will be happy about opening on Christmas morning. So send your loved ones a link to this page when they ask for your list. We'll have a list for the ladies later on. 1. 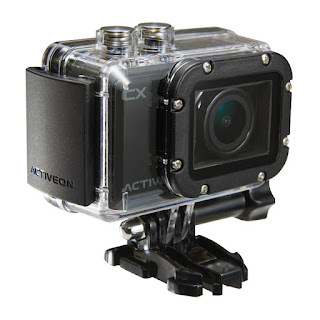 Action Camera- We all know that other company that put this type of camera on the map. We also know that they are notoriously expensive. Well, that's all changing. There are a ton of different ones out there on the market these days. I am particularly biased to one company. That's because I recently got a good deal on the Activeon CX (which falls in the middle of the spectrum) $99. It recently dropped to $59.99. The announcement of a new model () is part of the reason for the price drop for the CX model. I took it with me on a recent Carribbean vacation and it performed wonderfully. I took it underwater everyday for about 6 days. This camera has exceeded my expectations and in my opinion actually beats the high-priced competitor. For one all of the Activeon Cameras have a built-in screen. The expensive "big named" competitor is charging you $200 to purchase a screen that cuts your battery life in half. Right now, I have no need for a 4K action camera but some of you do. So for $400, you can own an awesome action camera that recharges by solar energy. Just go Activeon and forget the competitor, trust me, they give you way more bang for your buck. 2. Drone- The whole world has gone drone crazy lately. DJI has just released a compact drone that almost fits in your pocket and can safely fly indoors. 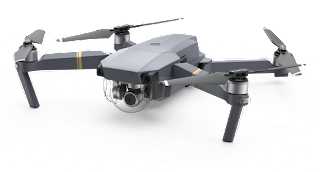 The Mavic is a game changer that can help you get the shots that will leave your audience breathless. For $1,000 (USD) you can't beat this turnkey compact drone system that includes an onboard 4K camera (stabilization system included). 3. Mirrorless Digital Camera- Ok, my job requires me to use video and still cameras. I've used plenty of them over the years but this year there is a special line of cameras that have caught my attention. Sony's line of mirrorless cameras have revolutionized the market. The Sony A6000, Sony A6300, Sony A7S, and A7R have the look of a regular point and shoot but they're discreetly packed with so many powerful features. First off, they have interchangeable lenses just like a DSLR. That's because it actually is a low profile DSLR. One of the main selling feature with these lines of cameras is that they take high quality pictures in extremely low light. These cameras produce images ranging from 12-36.3 Megapixels, depending on the model. Sony's mirrorless line also comes with internal wifi like many cameras today. So you can easily send your pictures to your smartphone as soon as you take them. You can also get some sick video (4K depending on the model) from this baby too. The small design of this That means folks like my wife who loathes my traditional DSLR body because she thinks it is too complicated. I can easily hand one of these to her and make her think it's a point and shoot. Sony might just be the last camera you purchase. Whew! I'm done with cameras for this post. 4. 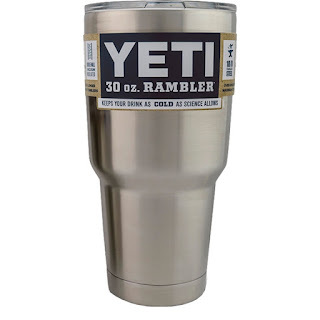 )Yeti Cup- Every dad has received a coffee mug as a gift at some point. They will always have their place but, Yeti cups ($30-$40 USD) are a must have this season. These insulated all stainless steel tumblers keep your drink cold or hot for 24 hours. Since they are stainless steel it's save and there's no to be concerned about BPH contamination. There are several different varieties and dad would be more than happy to have a few of these. One for the car, one for the mancave, and one to take to the basketball court.